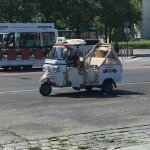 Tours from Budapest TukTuk tend to sell out - travelers recommend booking in advance! Thank You for Your review, we are all very happy that your had a great time. 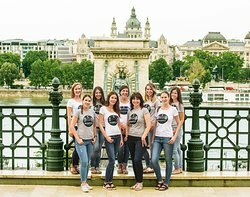 Thank You for giving a chance to our service among many many other tour providers of Budapest, we hope to have You as our guest once again! My tour guide and driver was David and he was truly awesome. The tour of the city was amazing and David provided detailed information of all the sites we visited. He was very knowledgeable and I would recommend anyone to take a tour with TukTuk and if you can request David. I truly enjoyed myself and will do it again one day soon. We are very happy that You had a great time with David, thank You for the honest and straight recommendation! He is a reliable and thoughtful member of our team with the internal need for learning and improving - I am glad that You were on the same frequency. We would be very happy to have You as our guest again, it was our please too having You with us. Had a great experience with Barney as our driver. Saw all the top spots in less than three hours -- citadel, castle region, parliament, Liberty square, ect. Barney gave my Dad (who can't walk well and is why we chose the TukTuk) an overview of the city's history and key sites. Another benefit if the TukTuk is that they are the only ones that can go to the top of the citadel for great views. They can also use the taxi / bus lanes for skipping ahead of traffic. I can bravely say in Barney's name too that we are very happy You had a great time with Your Dad during Your tour. Even though it was not the very aim of the concept of our business to focus on people with limited mobility it has become a very important part of our service, for our honest pleasure. Zoltan was fantastic. He made me fall in love with the city. This was the best orientation one could receive. I highly recommend for your first day so you can take in the entire city in a short time so you learn which areas to further explore. And receive a chance to ask a local all the questions you want! Great recommendation, thanks for that! 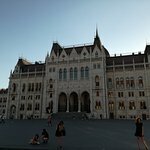 Yes, we also find the most of our tours perfect for the first day, You see so much from the city that You can plan the entire rest of Your stay. Today we had a fabulous tour with Daniel on a tuk tuk! It was so much fun and a much needed break from walking. 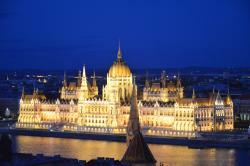 He took us all over both the Buda and Pest sides and pointed out things and described them all along the way. He also took us over to Margaret Island. He was able to get us much closer to things than any bus or car could and we covered so much ground in just 4 hours. 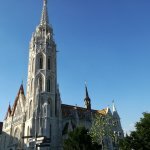 It was a great way to get a peek at everything when we only had 2 days in Budapest. Daniel was charming and kind and was a wealth of information and was willing to do whatever we wanted. We told him we wanted to buy Paprika, so he took us to a great little market. We needed some medicine so he found a pharmacy for us. Gotta try it!!!! So much fun. 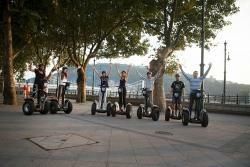 What a fantastic way to explore this interesting and beautiful city! Our guide Zoltan was so knowledgable, friendly, witty and fun. We were blown away! Most gorgeous weather, saw the aerobatics from the Citadel, Zoltan showed us so much, love the history!!! 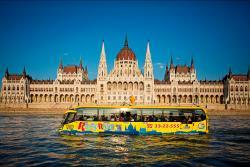 Whatever you do in Budapest this is s MUST! !